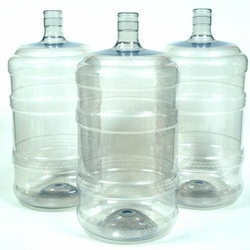 Being a customer-centric firm, we have gained immense goodwill in this domain by providing uniquely designed Plastic Jar. We Aqua Treat from 2012 are a popular organization in the industry for manufacturing a wide variety of Water Softener, RO Water Plant, Commercial Water Plant, Industrial RO System, DM Water Plant, Water ATM Plant, Water Testing Kit, Water Filters, Filter Cartridge, Filter Housing, Multiport Valve, FRP Vessel, Water Filtration Media and many more. Provided products are designed by using supreme grade components. We are offering these products in various specifications to choose from. Offered products are highly appreciated by the customers for their perfect quality, high performance, strong construction and longer service life.Additionally, these products are offered to the clients at very affordable rates.